A while ago I wrote about a new challenge I accepted. It’s the Bloggers Do It Better Challenge (click link to read more). It’s now time for all of us to publish our very first posts. The first topic we were given was “Bloggers do Spring better”. My immediate thought was inspiring pictures of pastel clothes and makeup. But the weather is really changing back and forward here in Sweden. One day sun, and the next cold and rainy (it’s what we like to call April weather). I still walk around in my winter jacket and knitted sweaters. I didn’t really think I had the material I needed for that kind of post. As I wrote in previous posts I spent the weekend in my cabin, and there the idea of this post hit me. 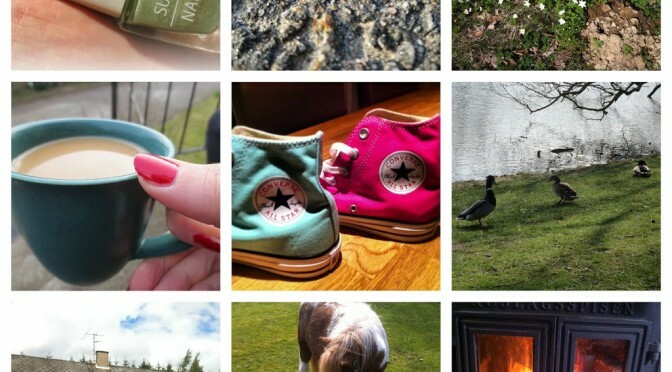 Bloggers do spring better because of their awareness. Since I started blogging I find myself much more aware of the details around me, and with spring arriving there are much details to notice. Especially there, in that beloved cabin in the woods. Just going there is a big sign of spring for me. When I was a kid we couldn’t stay there during winter since we had a well in the garden that supplied the house with water. In the winter the water froze, and we had no water inside. (As my parents inherited the cabin they had a major reconstruction done to change this) Back then we went there a last time in September or October and then closed everything down until April. Ever since there is something special about feeling the fresh air and see the wood anemones spread wildly in our forest. This time I felt even more aware of everything around me. I sat inside, watching the rain fall down outside, and all I wanted was to take some photos of all the birds, flowers and trees that was starting to bloom. Mostly because I wanted to show them here. Even before the visit there I found myself enjoying the spring much more. I’m constantly looking for inspiration for my blog, which makes me go out for walks, just sit down by the duck pond in the neighbor hood, notice that little butterfly or ladybug. And not just notice, that little bug can be the start of a thought you want to share with the world. I even enjoy my shopping much more than before. If I buy a new nail polish now it’s not just for me to paint my nails and enjoy for a couple of days. No, a new nail polish is a blog post for everyone that’s interested to read. I could go on forever, but I think you get my point by now. Bloggers do Spring better because we’re more aware of the details around us. 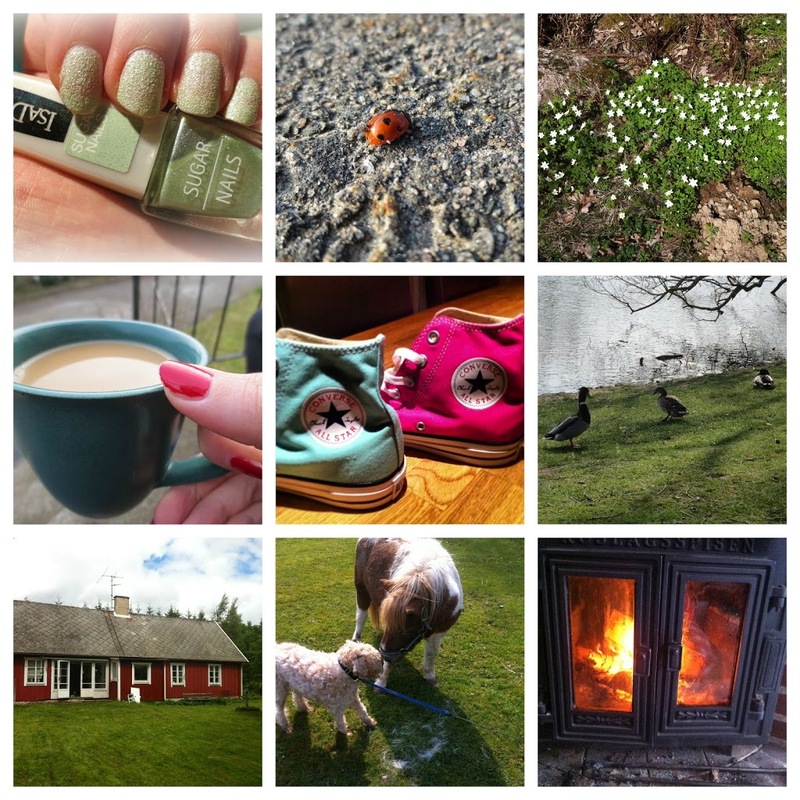 Some things I love about this spring! 8. Picture from last year, but this will get to symbolize walks with doggie. The horse belongs to a neighbor to the cabin. Thankx for sharing these facts about you during spring. This is a cute post — I never thought about it, but you’re right. We do tend to notice the little, beautiful things about spring. I love your nail polish, by the way. Very cool! Love that nail polish!! That fire place looks so homey! I just want to curl up infrint of it! Also, I’ve nominted you for the Inspiring Blogger award because to me, you are a very inspiring person! All you need to know is on my blog.